Accidental discoveries have occasionally given rise to major additions to the museum’s collections. In 1864, during renovation work at the chapel of Notre-Dame des Trois-Épis, near Colmar, a copper cauldron was unearthed by the workmen: it contained twenty kilos worth of objects in gold and silver. From the early 16th century, the Trois-Épis chapel was an important pilgrimage destination, resulting in an outpouring of gifts from the faithful. With Alsace plunged into the Thirty Years’ War, the chaplain, eager to prevent foreign invaders from acquiring the treasures accumulated over the years, buried these offerings under the chapel square, probably in the early 1630s. Apart from coins of various origins, the cauldron contained a wide range of items, from a vidrecome (a large two-handled beaker or loving cup shared by corporation members for ceremonial drinking), several hanaps (a type of large cup on a base with a hinged cover), tumblers, jewellery, etc. 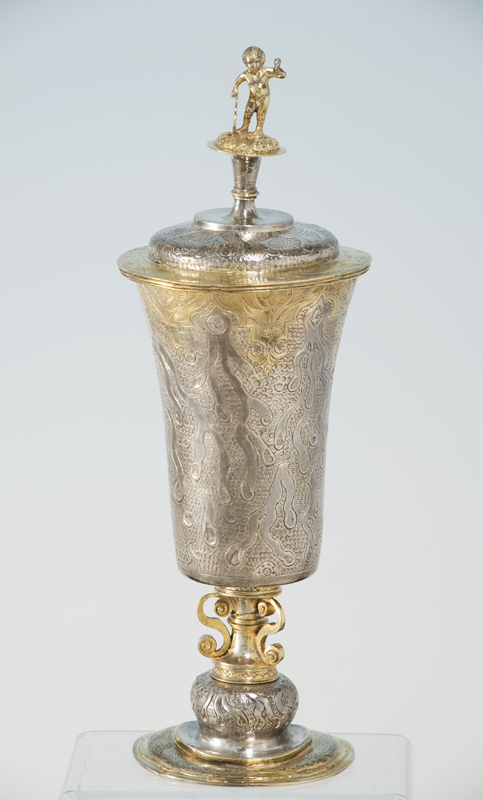 Forming the core of the museum’s collection of works in gold and silver, the Trésor des Trois-Épis provides fine examples of Renaissance objects from a variety of production centres, including Augsburg, Nuremberg, Basel, Freiburg im Breisgau and Colmar.